Pet them and take pictures. 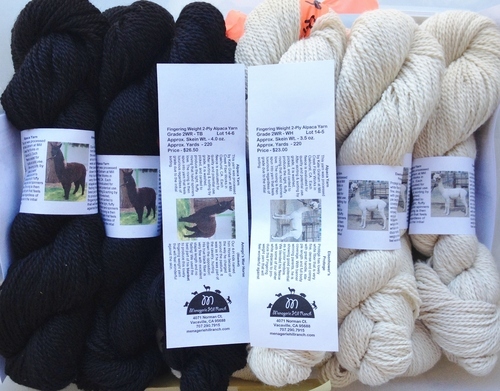 Shop the farm store for alpaca fleece, roving, yarn, products and novelties. Bring your lawn chair or blanket, picnic basket & camera. Wear closed toe shoes and appropriate outdoor attire. Parking is available on site and free. Unfortunately, no restrooms are available. If you plan to bring a large group, please call ahead so we can plan for you. 707.290.7915. We'll have a booth in our usual space at the 32nd Annual Lambtown Festival, 9-6 Saturday 10/6/18 & 9-5:30 Sunday 10/7/18. 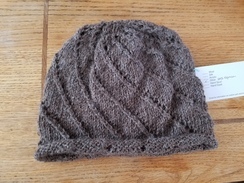 This year we've added more hand knitted apparel and some fun alpaca themed accessories and novelties. We'll have the amazing Creekwater Alpaca Socks, and Alpaca Hats, Gloves, and Scarves; Felted Alpaca Ornaments, Alpaca Print Tote Bags, Alpaca Jewelry, and Alpaca Embossed Goats Milk Soaps; ALpaca Dryer Balls, Fiber Twig Balls, Alpaca Cookie Cutters, and Activity Books. And as always we'll be freshly stocked with Alpaca Yarn, Roving and Fleece in an amazing array of colors.. 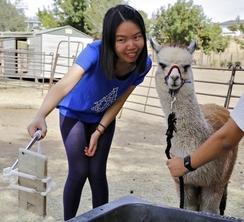 The event features craft & fiber booths, fiber competitions, seminars, workshops, the sheep show and sheep shearing competition, great food & entertainment, all focused on fiber and fiber producing animals. LAMBTOWN FESTIVAL IS PARTNERING WITH THE BRAVE BEANIE PROGRAM. This year's live entertainment will feature live Swing and Brazillian Bands. Parking is FREE this year. Holly Days Craft & Gift Fair is back on Merchant Street again this year to allow more craft vendors, food vendors and music! Stroll along the 300 Block of Merchant where the street will be lined with artisan vendors offering their Holiday works. Get some early Christmas Shopping done or just pick up that one of a kind gift for any occasion. Lots of new vendors and arts of all kind. You won’t want to miss this special street fair. For more information contact the office at 707-451-2100. This is a rain or shine event. We'll be there with more hand knitted apparel and some fun alpaca themed accessories. 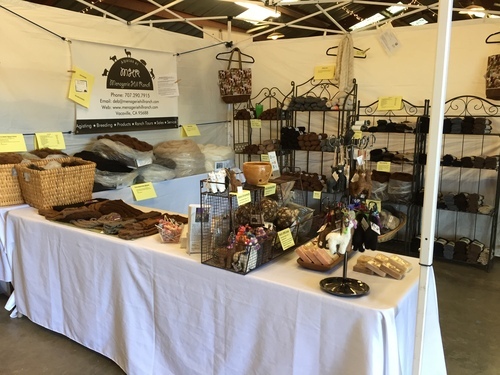 We'll also have our usual alpaca novelties including Felted Alpacas, Alpaca Ornaments, alpaca print tote bags, and Alpaca Embossed Goats Milk Soaps; as well as our usual assortment of Fiber Twig Balls, Alpaca Socks, and Alpaca Yarn, Roving and Fleece. We will have a booth at this educational event (in the church) with raw fleece, roving and yarn in a variety of natural colors.There will also be some new alpaca items including hand knitted garments, needle felting kits, and alpaca print tote bags. Please join us for our sixth annual Fibershed Wool & Fine Fiber Symposium at the Dance Palace in Point Reyes Station. In addition to hands-on activities and demonstrations, there will be informative presentations on collaborations between fiber farmers and designers, as well as on carbon farming, soil carbon sampling and drought tolerant breeds. The fee to attend the Symposium is $40, or $20 for seniors and full time students. The event will be streaming live on the internet at this link (starting at approximately 10:00 am PST): http://iframe.dacast.com/b/53987/c/78928, or on the screen below. Online videos of the event will be available soon after. The Fibershed Marketplace (open to the public at no charge from 9:30 am to 6:00 pm) will offer an array of beautiful local fibers and handmade goods, on sale in the church building at the Dance Palace, as well as on the lawn (weather permitting).